My work is inspired by my music, and that is how FIGHT became a reality. 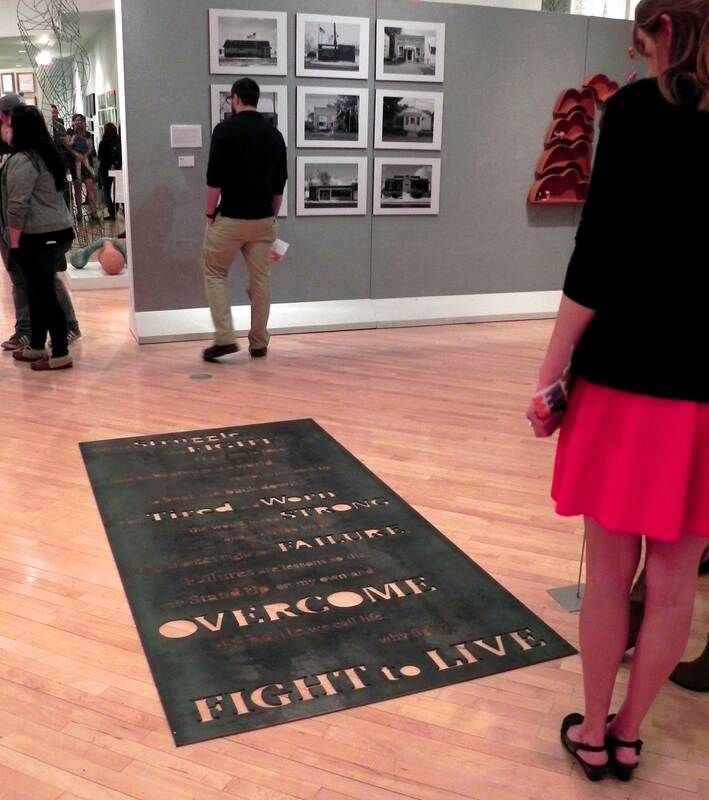 The piece was inspired by the song Worn by Tenth Avenue North. In the song he talks about the weight of the world crashing down on him and that he has been set up just to fail and he cries out to God asking for redemption and to mend his broken heart. I took this song and applied it to my own life. After many rewrites I finally came up with the text that you see on the piece. 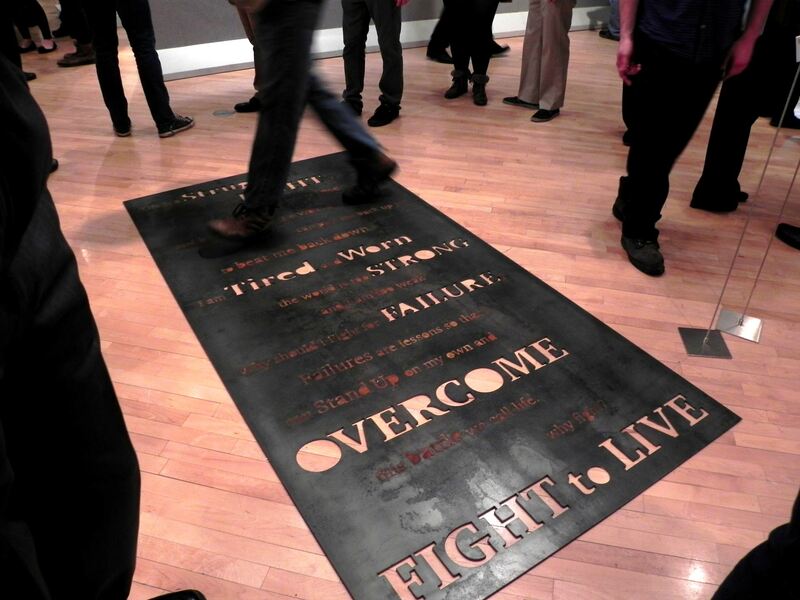 The steel was chosen as the material for this piece because its visual weight plays with the weight of the words that the viewer is engaged in. 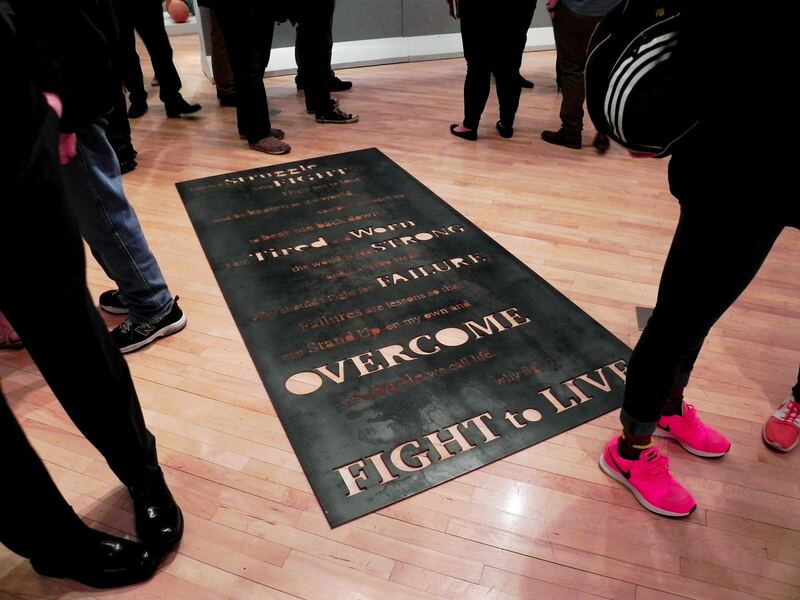 The decision to cut out the words “Struggle, FIGHT, Tired, Worn, STRONG, FAILURE, OVERCOME, and FIGHT to LIVE” was made because those words have meaning all on their own and can stand alone as is. 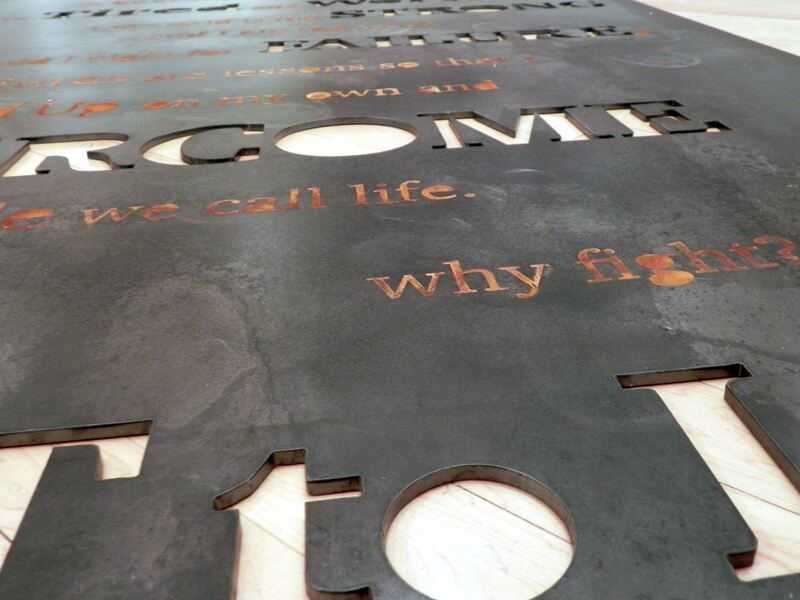 The patina text on the rest will wash away over time and fade but the words that are cut out will live as long as the steel itself, which is longer than any of our lifetime. 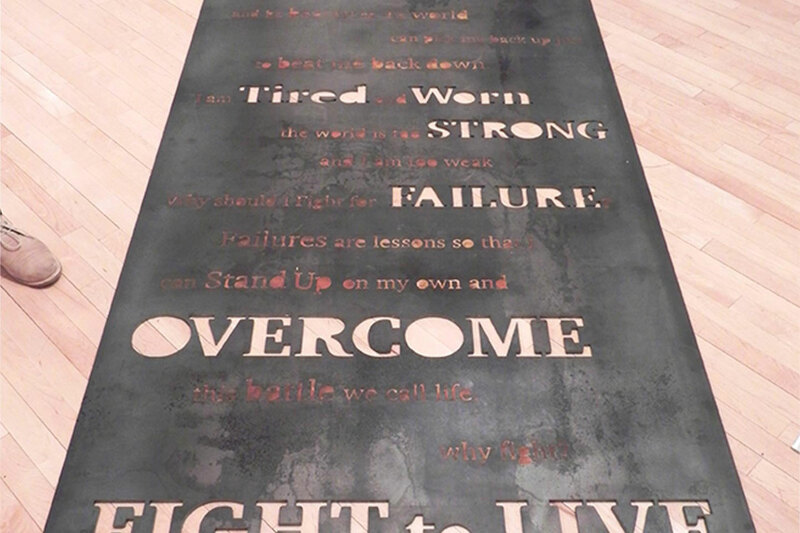 The patina text on the rest of the piece was chosen to because of the contrasting color with the steel and also its fragile qualities. It has been sprayed with a sealer, but over time that will deteriorate and the steel will rust further if kept outside or the text will fade away, and a new story can be written.